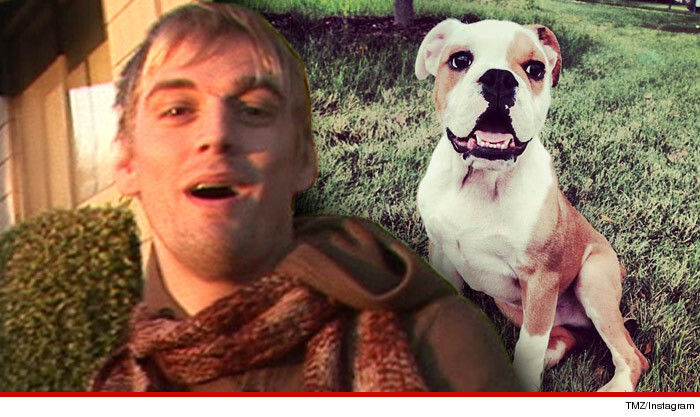 Aaron Carter may want candy, but he can't afford it anymore ... because KRS has learned he's gone belly up, filing for bankruptcy ... and the papers reveal sad news about his pooch. According to legal docs, obtained by KRS, Aaron's assets total $8,232.16. Here's the BIG problem. His liabilities total $2,204,854, which include a $31,166 AmEx bill. Aaron -- who was a huge pop star and is still on tour, even tonight -- also owes $1,368,140 mil to the IRS. As for his assets, he lists a 61" flat screen worth $500. He also lists 2 MacBooks, 2 Headset Mics, a Mini Keyboard, Portable Beats, a speaker, a guitar, $60 in cash, Louis Vuitton backpack, a duffle bag and a printer worth a total of $2,500. And he owns a Brietling watch worth $3,750. Here's the saddest part. He also lists a dog, with a value of ZERO. Aaron lists his average monthly income at $1,998.75. As for his monthly expenses -- $2,005, which includes $600 for food, $150 for clothes, and $65 for hygiene. He's currently living with a family member. Aaron is not filing for Bankruptcy light, which is often used to reorganize debts. He's going for the whole, Chapter 7 enchilada, which means the creditors will eat it. Aaron's rep Steve Honig tells us the singer filed for bankruptcy to move forward with his life and career adding, "the overwhelming majority of the debt he is asking to be discharged is from more than 10 years ago when he was a minor and not in control of his finances." Michelle Obama has become known for her fantastic, unique sense of style. Whether it's anaffordable dress from Target or a stunning Jason Wu gown, the first lady's sartorial choices are typically lovely and well-suited for her body type and personality. That said, there is one item she wishes she'd never worn in public: shorts. On Tuesday, Obama was a guest on BET's "106 & Park" and an audience member asked her about her biggest fashion regret. "I am kind of always happy with what I'm wearing, I think," she said. "Sometimes I forget I'm the first lady and I'm running around in shorts. I know the first time we went on a family vacation, I had shorts on getting off of Air Force One and that created a huge stink because people were like, 'She's wearing shorts getting off of Air Force One!' And I thought, 'What? We're on vacation!' It was hot!" She added, "So I've avoided shorts getting off of Air Force One." Obama is referring to Aug. 16, 2009, when she went on a family trip to the Grand Canyon. It was the hottest month of the summer, and while the first lady has a penchant for sweet sundresses, a bouncy frock may not have been comfortable to wear at the notoriously windy national park. Instead, she opted for shorts; a tank top with an open, button-down shirt; and sneakers. Should she have worn pants to avoid having her photo taken in shorts? Opted for a longer pair? 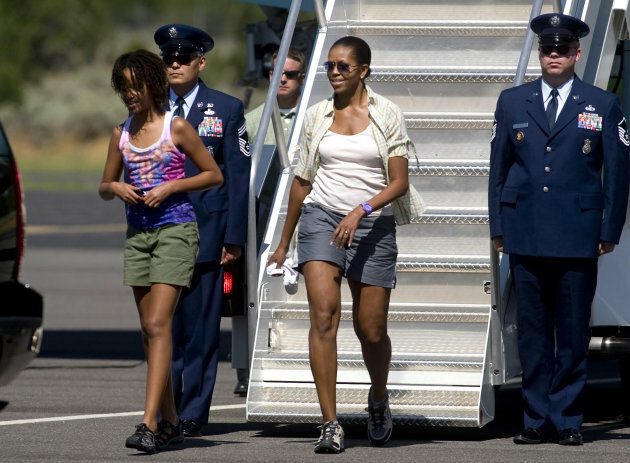 Because of all the fuss that was made, Obama said she's steered clear of wearing shorts ever since. The first lady's outfit is admittedly more casual than most ensembles worn by former first ladies, but Obama seems to be more relaxed than her predecessors. She certainly stuns in elegant formal attire when the occasion calls for it, but she also feels comfortable letting her guard down and wearing more casual garments. Unlike some previous first ladies who exclusively wore designer outfits, Obama stands out for wearing big chain retailers like H&M, the Gap, and Talbots. Celebrity stylist June Ambrose refers to the first lady as a style pioneer. “She's bought grace, sass and class to the White House! Women from around the world are breaking rules because of her daring approach [to fashion]." If you're still not convinced that the first lady is down to earth, there's more proof. Another audience member asked her what she missed most about her life before moving into the White House. "I long to walk out that front door, go to CVS, and buy some toothpaste and nobody would notice me," said Obama. She's tried sneaking out in a baseball cap in the past but says it's getting increasingly harder not to be recognized. Wearing shorts on vacation and shopping for her own toothpaste? Maybe some famous people really are just like us after all. "Shorts or no shorts, she's a fashion killer and I love her!" Verdi says. We couldn't agree more. Fifty years after the assassination of President John F. Kennedy, the case continues to transfix Americans. Millions of people's lives were forever affected on November 22, 1963. Below, a look at some of the key people from one of the most talked-about crimes in history. The 35th president of the United States was shot while riding in an open top limousine through downtown Dallas. Kennedy was just 46 at the time of his death, and though he was only in office for a few years, his influence is still felt today. Among his accomplishments were the establishment of the Peace Corps, the successful navigation of the Cuban Missile Crisis, and leading the charge to put a man on the moon by the end of the 1960s. Many of Kennedy's faults have come to light since his passing, but few presidents remain as highly regarded. Lee Harvey OswaldA short time after Kennedy was shot, authorities grabbed Lee Harvey Oswald, the supposed lone gunman who used a sniper rifle from a nearby book depository. 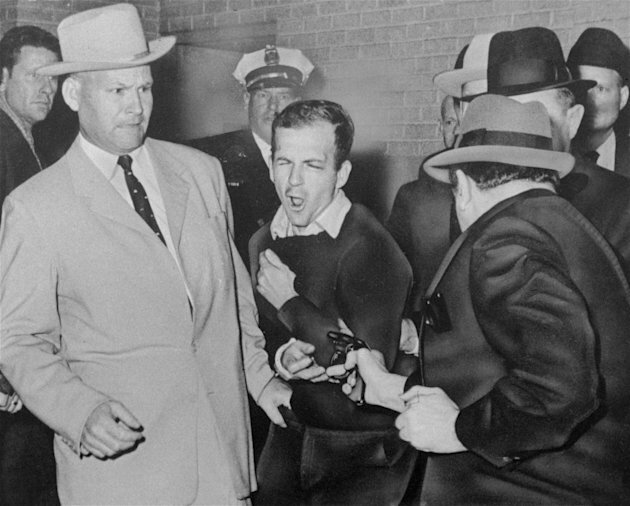 Oswald was killed by Jack Ruby two days later while in police custody. Much has been written about Oswald and whether he was truly the lone gunman or, as he put it, "a patsy." 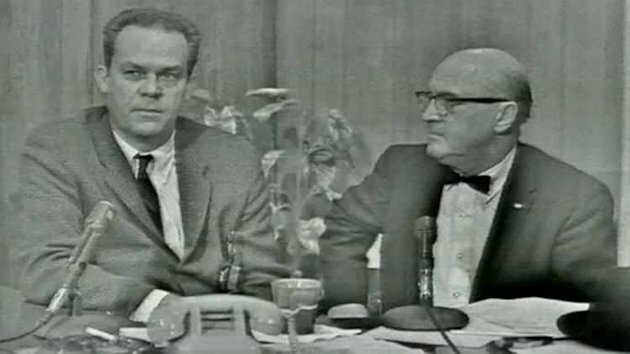 The Warren Commission, which was formed to find answers about the assassination, found that he acted alone. But 50 years later, many people aren't so sure. Was Ruby part of a mass conspiracy or just a murderous nightclub manager? Like so many other aspects of the death of JFK, the questions surrounding Ruby continue to be debated. One thing that has never been up for contention is that Ruby killed Oswald just two days after JFK's death. The shooting, which was committed in a police station basement and broadcast on live television to millions of horrified viewers, led many to wonder if Ruby was acting on behalf of the mafia. The Warren Commission found that Ruby was not part of any conspiracy. Ruby was found guilty of murder in 1964. He died of cancer three years later at Parkland Memorial Hospital, the same place where Oswald died and where JFK was pronounced dead. The Zapruder film is perhaps the most studied motion picture in the history of the medium. 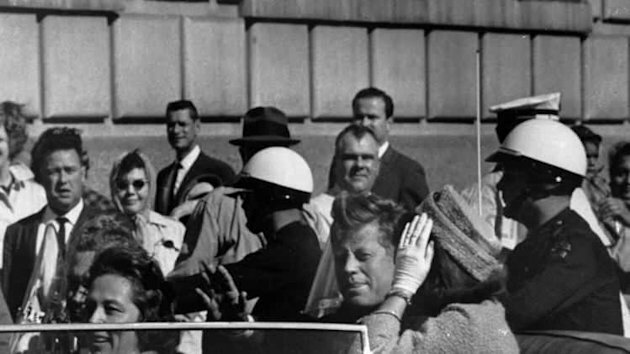 Shot by Abraham Zapruder on the day of Kennedy's death, the 8 mm film captured the exact moment when Kennedy was shot. Zapruder sold his film to Life magazine for $150,000 and donated $25,000 to the widow of J.D. Tippit, the Dallas police officer who was allegedly shot and killed by Oswald the same day as JFK. Zapruder died in 1970 after a battle with stomach cancer. He was 66. John and Nellie ConnallyRiding with John and Jackie Kennedy that fateful day were John and Nellie Connally. John Connally, then the governor of Texas, was seriously wounded during the assassination. He recovered from his injuries and went on to become the Secretary of the Navy and later the Secretary of the Treasury. He died in 1993. Nellie Connally was sitting in front of Mrs. Kennedy when JFK was struck. 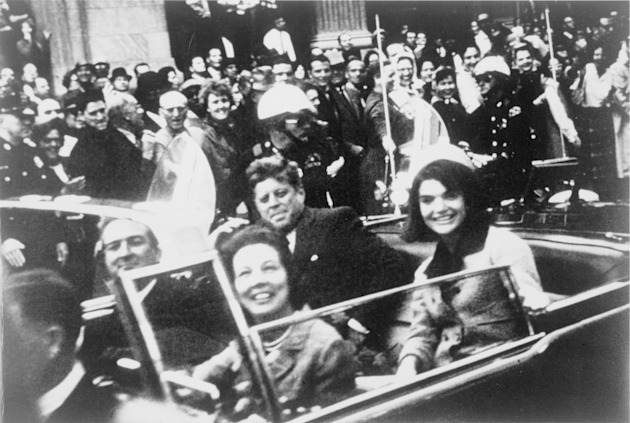 While riding in the limousine, moments before JFK was shot, she supposedly told Kennedy, "Mr. President, you can't say Dallas doesn't love you." Nellie Connally dedicated much of her life to diabetes and breast cancer awareness. She died in 2006.